London has some of the most interesting architecture and beautiful spaces in the world. Not cheap, but original and bold. We realise this might not be a normal post for us, as we aim our services at the “you don’t need to spend £30,000 on a wedding” side of the market. BUT, if you use on of these stunning wedding venues, you may find you don’t have any money left for a videographer!! So then you can check us out at Edit Your Wedding! 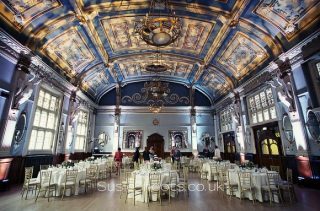 Most of these venues are listed on the website No Ordinary Wedding. Read more to see our favourites! Approximate costs: £9,500 (low) – £11,500 (high) for 100 guests , including catering. Approximate costs: £3,950 (low) – £5,345 (high) for 270 guests , excluding catering. previous5 alternative (and cheaper) ways to capture memories of your wedding.